In line with the Genie commitment to provide exceptional product to our customers, we are modernizing the product line look and feel. Genie is committed to delivering products which are; intuitive to operate, straight forward to service, and set the industry standard for quality, reliability and safety. The new Genie design communicates a contemporary, rugged look for the Genie® product line. The fresh, modern look features the chassis presented in black, conveying an image of ruggedness and stability. The Genie blue lifting elements will continue to provide visibility. The new design also includes ergonomic features, updated hinges and latches, and stiffer covers – all of which improve the operators interaction with Genie products. “At Genie, we are always improving. By providing a consistent and updated look, we are enhancing the operator experience. The new design ultimately provides a more interactive experience,” said Brad Lawrence, General Manager, Genie Australia. 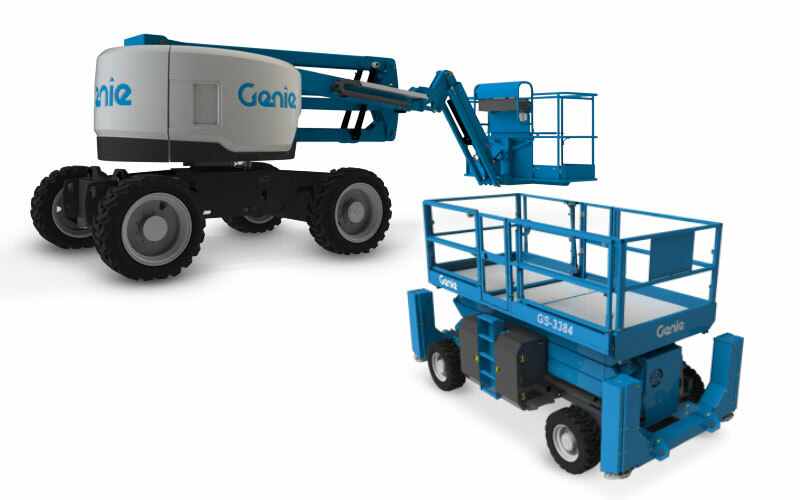 Initially, the new design will be seen on select Genie® telescopic and articulating booms, rough terrain scissors and telehandlers and other products will evolve to the new design over the next two years.